Open the door on savings this new year! 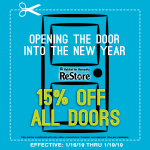 All doors are 15% off in the ReStore! 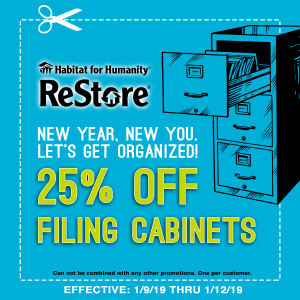 10% off ReStore when you present this coupon! 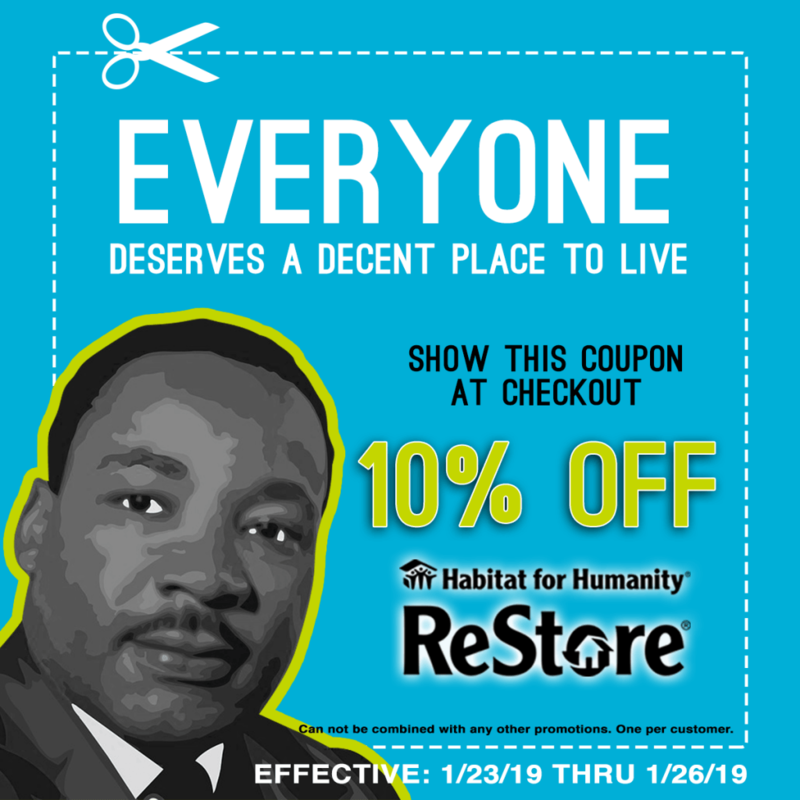 To celebrate Martin Luther King Jr. Day and our mission to build the Beloved Community, to create a world where EVERYONE has a decent place to live, we are offering 10% one item for anyone who present this coupon! You can print it or show it on your mobile device! Valid: Jan. 23 – Jan. 26.